With twenty years experience within the trade union movement including Unite, GMB and Wales TUC, Martin Mansfield will present to the club on the role of unions in the new devolved Wales social partnership with Welsh Government and Welsh employers. He will also address how working with unions can benefit employers in both the private and public sector and give the union view on conflict and co-operation in the workplace. 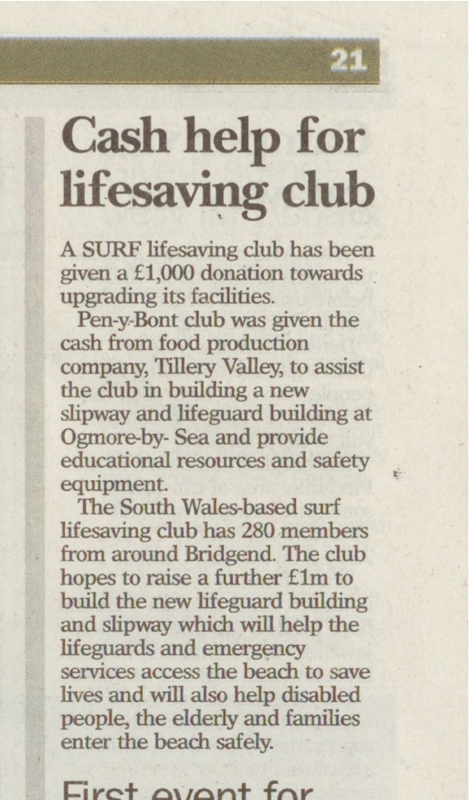 The next Club Meeting will be held on Tuesday 22nd November 2011 at The St. David’s Hotel & Spa, Cardiff Bay. As usual, we will commence at 7.45am and finish by 9.15am. Breakfast will be served promptly at 8.00am. We would be delighted if you were able to join us. If you wish to attend, please email Becci Gould on bec@petersensone.com , no later than Friday 18th November 2011. To avoid any problems, please clearly state your breakfast choice when booking your place. Please note, any seating requests should be made clear at time of booking. 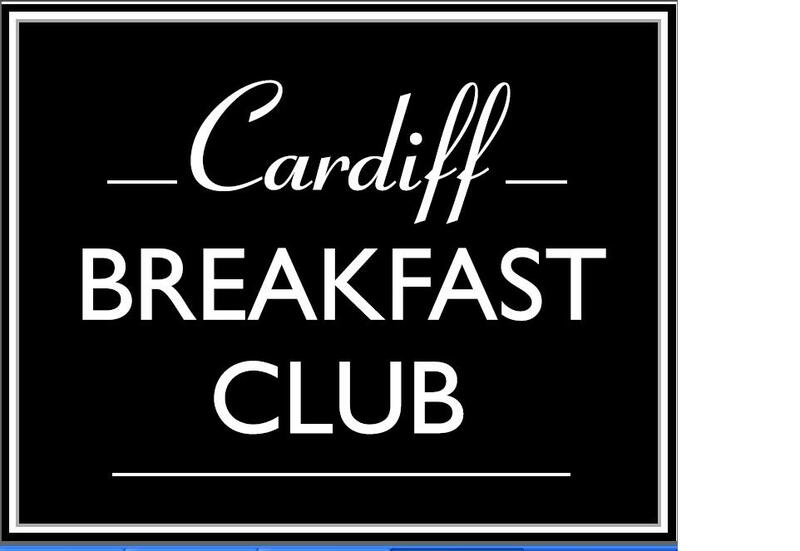 The Cardiff Breakfast Club regrets there can be no refunds should you cancel after Friday 18th November. Should you be unable to attend, a substitute is welcome at no extra charge. This week we’ve had more success for Tillery Valley, national delivered meal provider to the healthcare, education and local authority sectors and more recently the care home sector. The company exhibited for the first time at this year’s Care Show London event which took place last week in Olympia, London. Our new client sports travel firm, Inspiresport, has recently received financial backing from a number high-profile investors within the travel industry. Appointed to announce the news, Petersens offered exclusivity to Travel Weekly, the coverage of which is available here. Other highlights include: Travel Daily and Western Mail‘s Business Supplement. For further details please contact Becci Gould, Account Executive on bec@petersensone.com. 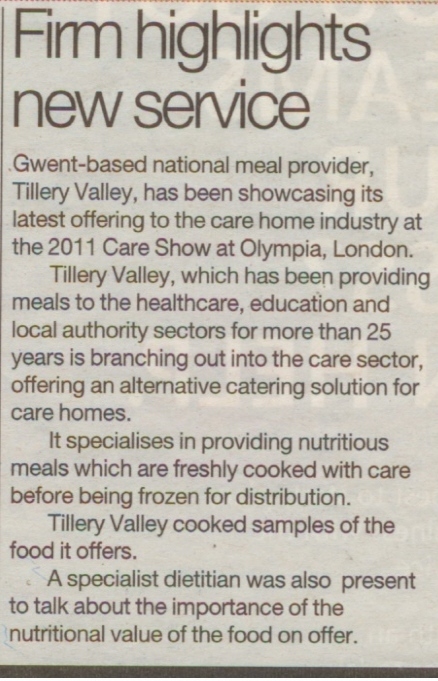 Award-winning Tillery Valley showcased its latest offering at the 2011 Care Show which took place at Olympia, Londonon 11th-12th October.TilleryValley, which has been providing meals to the healthcare, education and local authority sectors for over 25 years is branching out into the care home industry, offering an alternative catering solution for care homes. Tillery Valley specialises in providing nutritious meals which are freshly cooked with care before being frozen for distribution. The Care Show provides companies serving the care sector with an opportunity to demonstrate their offerings in terms of products and services to those who are responsible for the care of vulnerable people in theUK. Attendees included proprietors, directors and managers of care homes, nursing homes, domiciliary care agencies, sheltered accommodation, learning disability homes, local authorities, specialist care units and private hospitals. 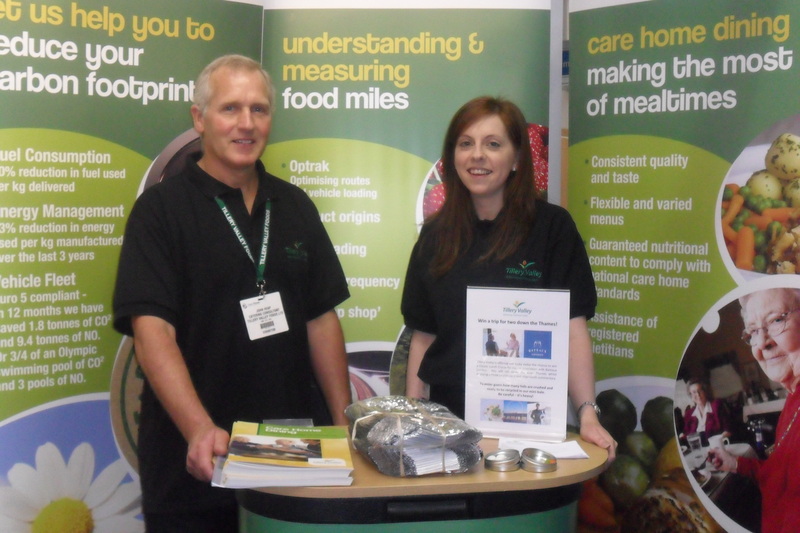 The Care Show was the first event in which TilleryValley demonstrated what it has to offer the care sector. The members of staff manning the event stand cooked samples of the food it offers throughout the day for visitors to enjoy whilst hearing about the beneficial aspects and the convenience of frozen meals in care facilities. A specialist dietitian was also present to talk about the importance of the nutritional value of the food on offer and share TilleryValley’s expert knowledge and insight into understanding the needs and wellbeing of people in care homes. 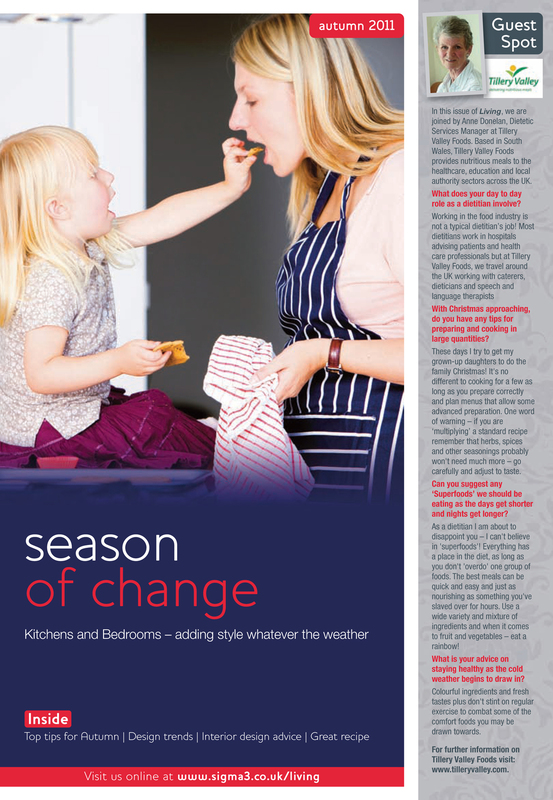 “We believe that mealtimes should be a daily highlight in people’s lives beyond the physical act of simply eating food. Our aim is to deliver a consistent and satisfying meal service to residents in care homes whilst ensuring nutritional standards are met”. Tillery Valley’s production plant based in Abertillery, South Wales, already has the capacity to produce up to one million meals per week, with attention focused on taste and choice as well as the nutritional value which is of utmost importance. The company is also keen to communicate its environmental efforts at the exhibition by promoting its commitment to energy reduction and increased sustainability. · Formed in 1984, Tillery Valley, part of the worldwide Sodexo Group, is a national provider of chilled and frozen prepared meals to the healthcare sector, local authorities and education. · Based in Abertillery, South Wales, and managed by Site Director Philip Hall, Tillery Valley is a major employer in the area, providing 350 jobs to the local community. Its advanced production plant has the capacity to produce one million meals per week. · 64% of Tillery Valley’s annual expenditure is invested in businesses in Wales and adjoining regions. Collaborative initiatives such as sustainable local sourcing that help to support both local businesses and the wider community are top of Tillery Valley’s agenda. The company is also proactively helping to reduce the environmental impact of its operations. · Tillery Valley currently serves 89 NHS trusts and 26 local authorities in 180 locations throughout the UK. 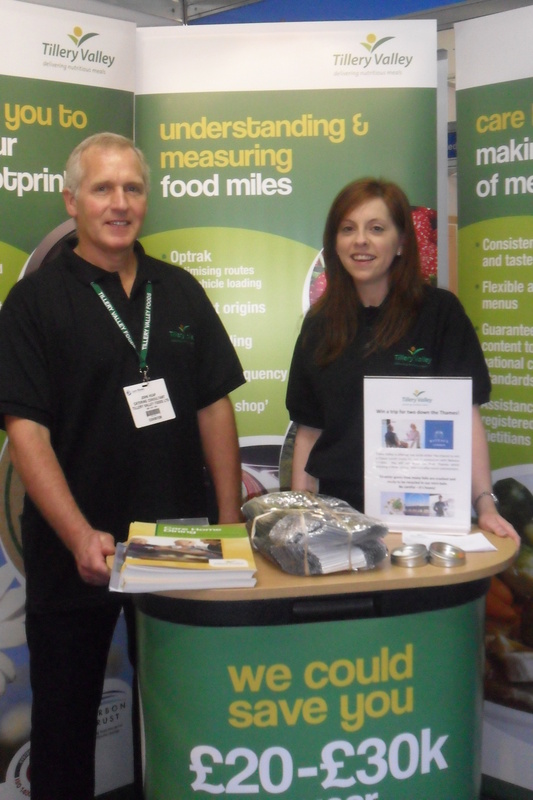 · Tillery Valley operates to Carbon Trust Standards and was the first food manufacturer in Wales to receive the Carbon Trust Accreditation in 2010. · Other notable awards and accreditations include Investors in People (2008), Gold Food Hygiene Award (2010) ISO 9001:2008 accreditation for the development, manufacture and distribution of chilled and frozen ready meals and the British Retail Consortium (BRC) Global Food Safety Standard Version 5 Grade A accreditation (2009) and ISO14001:2004 environmental management system accreditation. With guest speaker Lieutenant Colonel Didi Wheeler ‘holding up the fort’, today’s Cardiff Breakfast Club meeting was somewhat unusual yet nonetheless an extremely interesting and successful event. After last month’s slightly depressing announcement from Professor Robert Huggins about Wales’ business culture, I think our members were perhaps relieved that instead of focusing on business, Didi’s presentation concentrated on the strengths and positive culture of his Welsh Battalion – something of which Wales can be proud of (and my don’t we need it after this weekend’s devastating outcome). 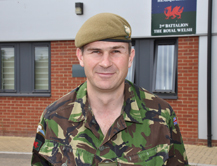 Didi began by exclaiming with genuine enthusiasm that ‘it is great to be back inWales’ – despite having left his barracks at Tidworth, Salisbury in the early hours of this morning. Regardless of being based outside of Wales, Didi proclaimed that his 600-man Battalion was 100% Welsh, the small commonwealth contingent of predominantly Fijians earning honorary Welsh status, a characteristic that is evident not just through the rugby abilities of his soldiers (with five currently playing in the Defense World Cup final on Friday, incidentally against Australia!!! ), but more importantly through their courage, resilience and, above all, their ability to quickly build rapports in the most difficult of circumstances, using his experiences in Basra, Iraq and Helmand, Afghanistan as an example. Didi endeavored to explain his experiences as a Commanding Officer, likening his role to that of a father where his soldiers would continually look to him for advice and direction. Although challenging, Didi remarked that this position was incredibly rewarding, knowing that the 600 men behind you will respect and support whichever decision you have to make. However respect works in both directions, and Didi clearly has the utmost admiration for his soldiers. In addition to the heavy loads and extreme physical lengths his soldiers go to, he explained that a soldier’s job is 24/7 – even when supposedly in shelter one’s life can be at risk, as the nightly rocket attacks on the Battalion’s air station garrison in Basra proved. Although their operations in both Iraq and more recently Afghanistan have been extremely challenging, clearly the 2nd Battalion The Royal Welsh has risen and met every challenge during the last four years. With the end of his time as Commanding Officer fast approaching, Didi remarked on the tremendous support he and his soldiers have received on each return to Wales, making them feel all the more proud of their achievements within such a demanding and challenging way of life. Whilst evidently having a resilient Welsh team behind him, Didi proclaimed that the battalion is still recruiting and he urges the very best of Wales to step forward for this challenge in order to build an even stronger frontline for the future. Our next event will be held on 22nd November with guest speaker General Secretary, Martin Mansfield of TUC. For further information, please contact Becci Gould on bec@petersensone.com. …Unfortunately this includes the seven week work experience taster I have been enjoying with Petersens PR. The whole team has been so supportive and friendly during my time here that I genuinely feel part of the team. I am extremely grateful for the advice and time they gave to me explaining me how PR works and the correct structure for writing press releases. Unlike other work experience placements, Petersens encourage you to be as hands on as possible by allocating tasks for you to complete that day. These included press releases, researching, telephoning media contacts, organising client portfolios and assisting with the organisation of the Cardiff Breakfast Club. I can honestly say considering all of the work experience placements I have done, Petersens has definitely been the most enjoyable and valuable in setting me up on my way (hopefully!!) to a future career in PR. I wish Petersens all the best in the future and would like to thank them all for this invaluable opportunity! PS: Thanks for the slice of cake Becci!! PPS: And for the lovely flowers Rob!